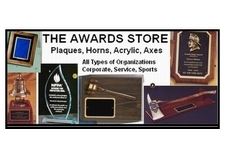 Quality award plaques made of walnut stained piano finish board with sunburst design plate. This is an attractive plaque you will be proud to present. Available in 7" x 9", 8" x 10 1/2" and 9" x 12". Ideal for service, recognition and outstanding performance awards. Prices shown on this page include the engraving of up to 100 characters. Additional characters will carry a small up charge.